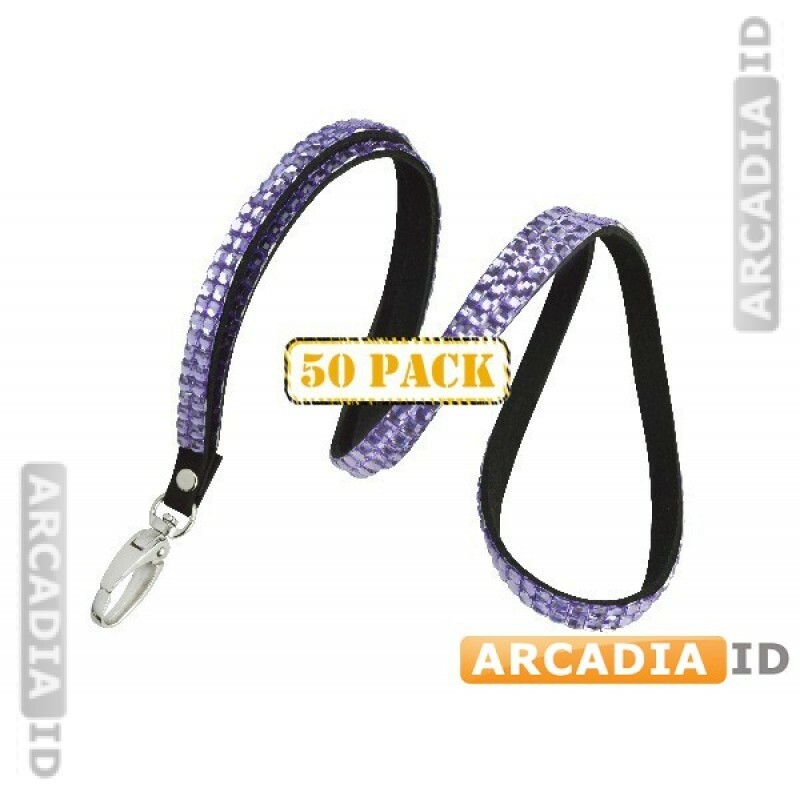 50 packs of purple rhinestone lanyards. These lanyards are very tough like all our products but look especially attractive in sparkling purple. Great value and quality. For more kinds of lanyard in varying colors and quanitities take a look around the rest of the site!